Of course, you already know what it is XML sitemap. A sitemap is a list of pages and posts a website that can be accessed by visitors of the website/blog. Although not significantly affect the visitors, but the sitemap is extremely influential in our efforts to optimize our SEO blog. XML Sitemap in a blog will tell the search engines such as Google, Yahoo, etc. to index the list in search engines. 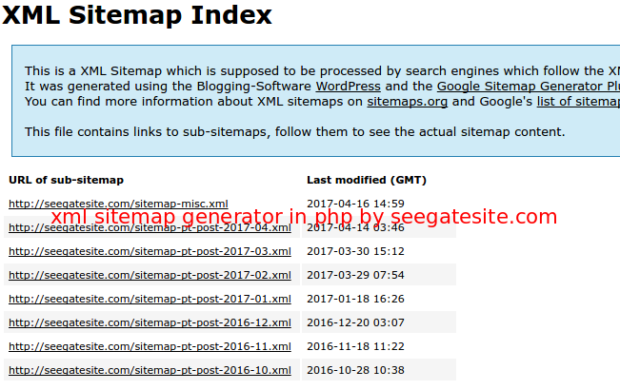 If you have a website that is in the build without a CMS such as WordPress, of course, have to create your own plugin that will generate a sitemap XML file. And for a handful of people is very useful tool to add a new index to the search engine. Straight to the point follow these steps.